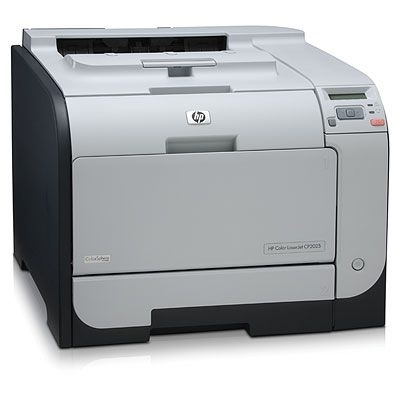 The HP Color LaserJet CP2025 printer is an affordable, personal LaserJet printer. Enjoy color printing without sacrificing speed with the HP Color LaserJet CP2025 Printer series. Get your output and return to work quickly with fast black and color print speeds of up to 21 pages per minute (ppm) on letter-size paper. Start fast and finish sooner. Typical office print job time to completion can be nearly three times faster with Instant-on technology. Avoid interruptions and increase productivity with proactive printer management. HP ToolboxFX provides easy access to printer settings, status information, the user guide, and self-help and troubleshooting tips. Easily share the printer and efficiently utilize resources with built-in Ethernet/Fast Ethernet networking.